The Bulle MOLLE 45 degree mountable panel is a neat device for turning the horizontal webbing straps on most MOLLE bases into 45 degree angled straps. 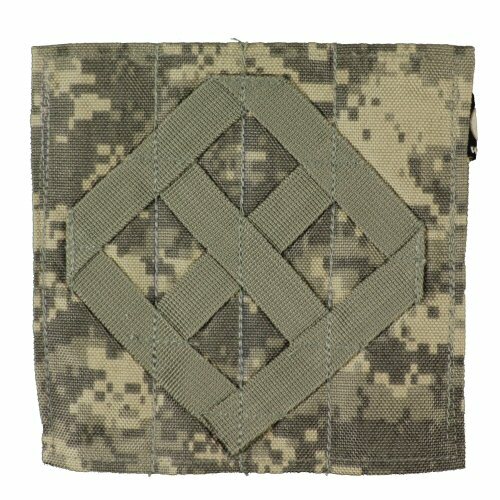 Most often used for pistol holsters and certain types of magazine pouch, the 45 degree panel is mounted in the normal way onto a MOLLE vest or platform and the webbing straps allow for mounting of holsters and other pouches in any direction on a 45 degree angle. The panel supports any pouch which is designed to be mounted via two MOLLE straps next to each other (usually taking up two loops of cross webbing side by side). The panel will permit the pouch or holster to be interwoven into it three times via three separate straps in any one direction. The panel measures approximately 16cm x 16cm, and takes up no more space than a typical double magazine pouch on the MOLLE base. Completely detachable MOLLE mounting straps are provided on the rear. 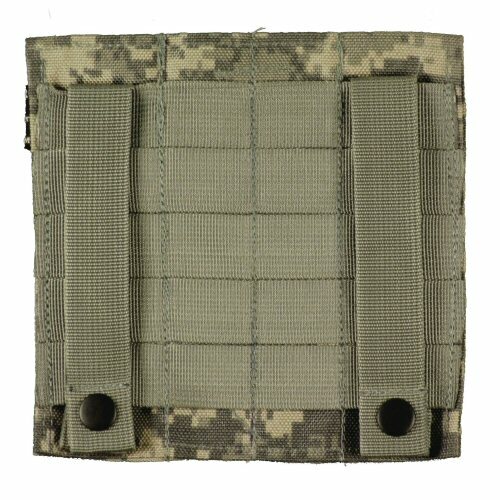 This panel will convert a normal MOLLE vest into a crossdraw vest for either left or right sides. Made of 1000D texturised Cordura. Price is for one panel only. Any accessories shown are for illustration purposes and are not included with the platform. View of rear of panel. 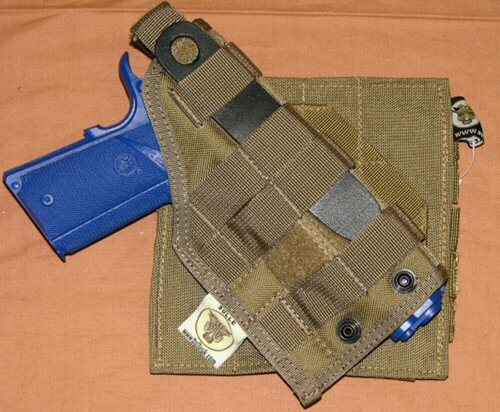 View of one suggested use for the panel to mount a MOLLE holster. The angle makes the holster easier to draw.